Remember last month, when my friend Corey shared some of her projects and we did a blog swap? This month, I’m continuing that monthly feature (aiming for the last Friday each month), and happy to be swapping with my pal Beth! If you want to check out the post I wrote for her blog, head over to her site, Unskinny Boppy to see some of my favorite gardening ideas. Hey guys! I am SO excited to be a guest on Sarah’s blog today. First off, let me give you a little background on me — I’m Beth from Birmingham, Alabama. 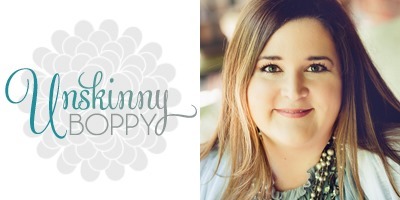 I’ve been sharing my home, garden and DIY projects for over a decade at my blog, Unskinny Boppy. When one of our mutual friends (holla at Stacy!) suggested we kick it old-school style and join together for a blog swap, I was all in. Sarah and I decided since summer is upon us here in the South, we would share our best gardening ideas for our blog swap today. 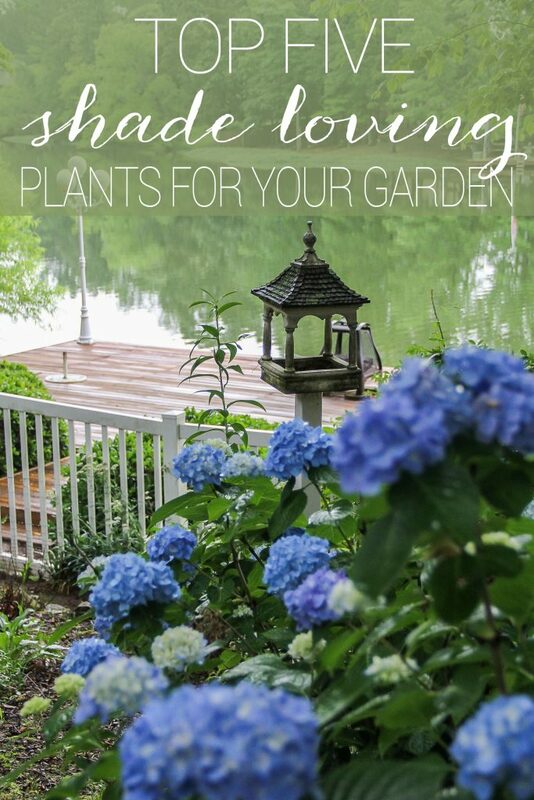 Here are a few of my best garden projects to give you ideas for your yard this summer. 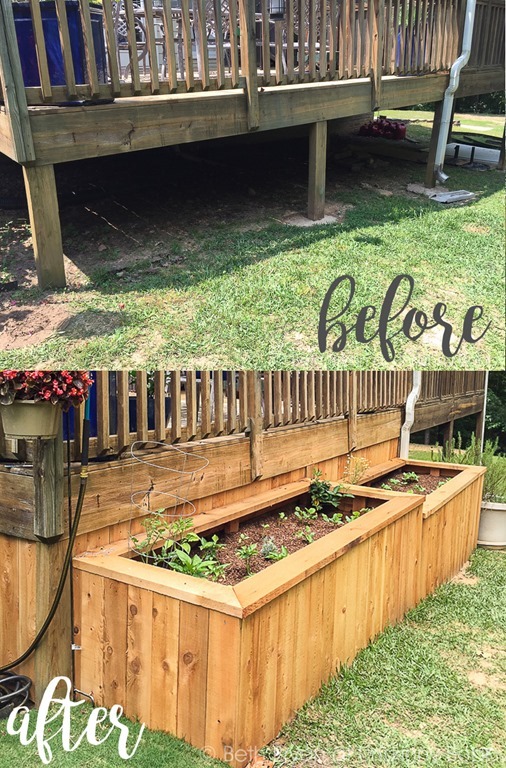 One of the most popular garden projects we added to our backyard was this raised garden bed to hide the underside of our back deck. The beds are constructed with a lumber frame and cedar plank siding. It totally transformed my backyard and provides us with tons of fresh veggies and fruit all summer. Right now I’m growing tomatoes, cucumber, blueberries, blackberries, squash, zucchini and a few sunflowers for fun! I also love not having to bend over to tend to my garden. Click here to read about my raised garden beds. Another popular outdoor tutorial is an oldie but a goodie. In 2011 I hung a vintage ladder over my back patio table with a Moravian star and mason jars to provide candlelight for ambiance. I loved this simple garden project so much. It added a ton of character to our back patio beside the swimming pool. Click here to read about the Hanging Ladder Mason Jar Chandelier. 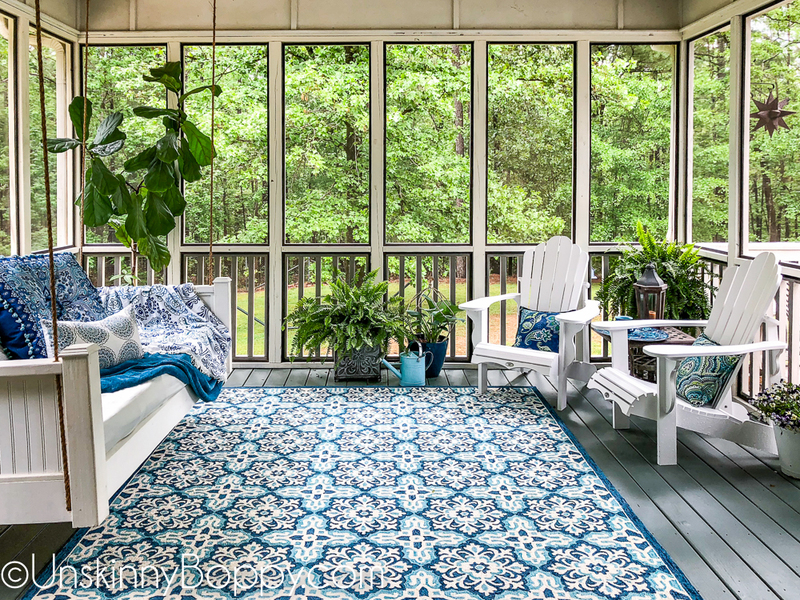 Freshening up porches for summertime entertaining is never a fun job, but it’s always worth it in the end. 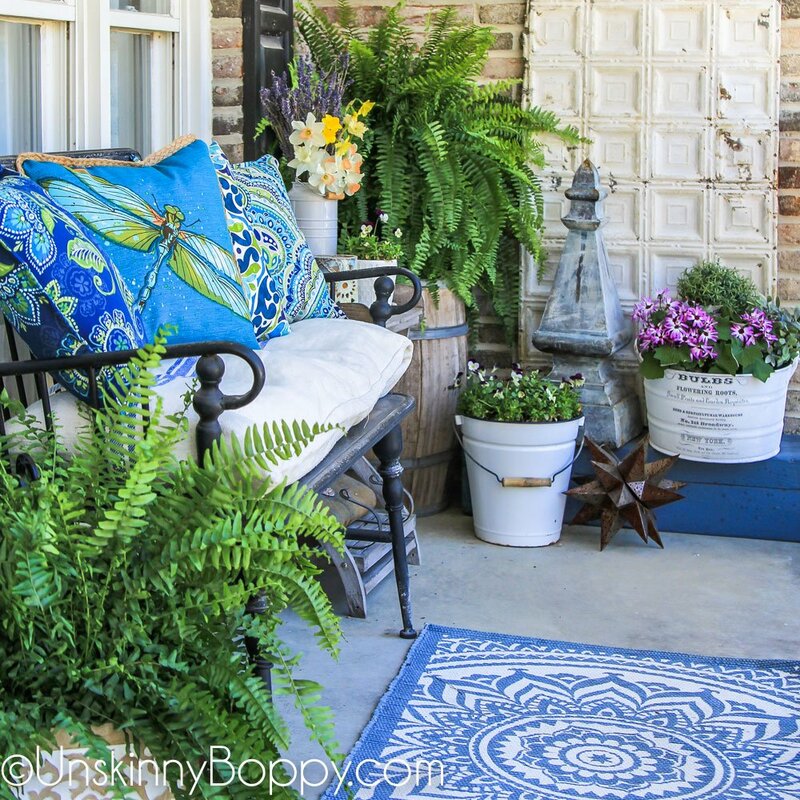 Here are some of my best tips for decorating a narrow front porch for welcoming guests in the spring and summer. Click here for Decorating Ideas for a Narrow Front Porch. If you have a shady yard like me, it can be tough to find pretty plants that will grow in the shade. I started embracing the shade and realized there’s plenty of pretty plants that will grow in the darker areas of my yard. Click here to read my list of Top Five Shade Loving Plants for a Summer Garden. Speaking of shade, I just recently finished a screened-in back porch makeover so we can have a shady (and mosquito-free) spot to sit this summer. Between the bed swing and the Adirondack chairs, we have been chilling like villains out here all month. It’s the perfect spot to enjoy the great outdoors without dealing with the rain or bugs. 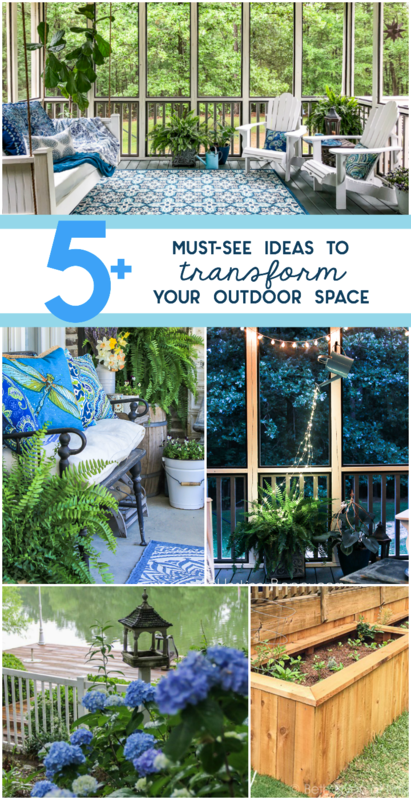 Click here to read all about the back porch makeover. 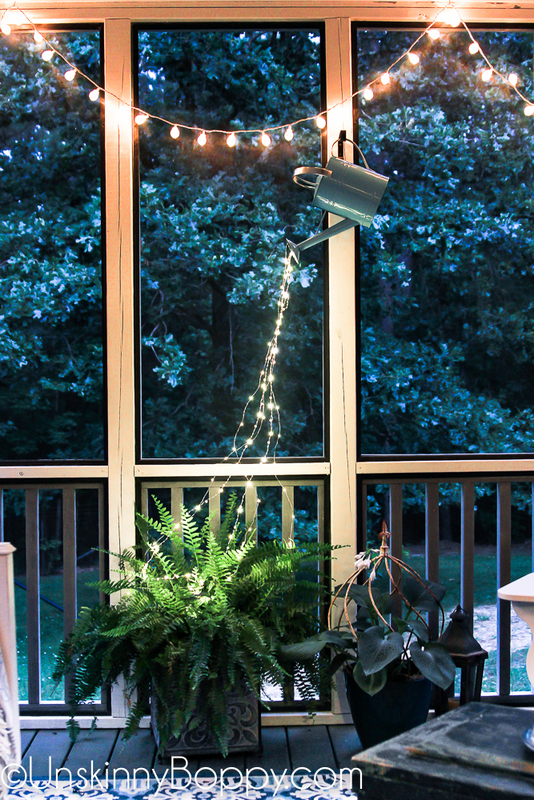 My most recent garden tutorial is this watering can that is “pouring” fairy lights into the fern below. 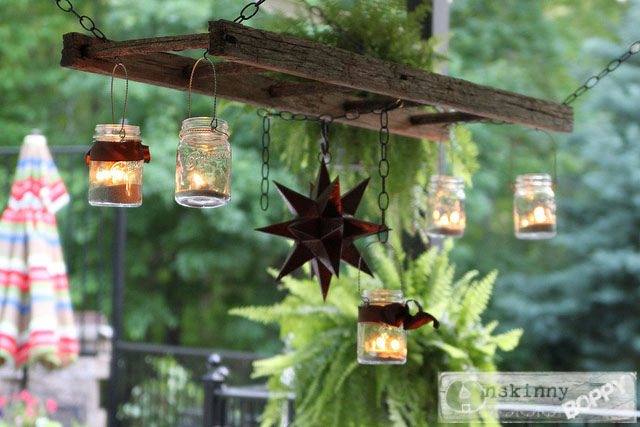 This was a super simple and fun project to add some whimsy to any outdoor space. If you need a quick gift idea for a gardener in your life, this one will be a huge hit! Click here to read the Fairy Lights in a Watering Can tutorial. I hope these posts that I’ve shared will give you guys a taste of my gardening style. If you like what you see, I’d be honored if you would stop by my blog and look through my archives to see if there are any other ideas you would like to pin. I’d also be super stoked if you wanted to be my friend on social media or join my e-mail list. Thanks for joining me today! Happy decorating and DIYing, y’all! Thanks for having me today, Sarah! I enjoyed blog swapping with ya, friend! Another great and helpful article, Sarah! Thanks for introducing Beth to us – she`s amazing! 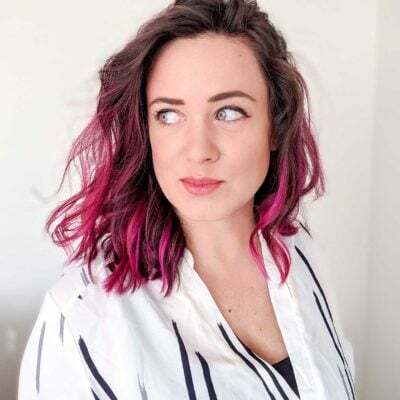 And her blog is awesome too – with a lot`s of great ideas!